Stretched out for over 300 km along the Adriatic Sea, Puglia is Italy’s most oriental region, divided by a mere 80 km from the Albanian coast. As only a very small part of its territory can be considered as mountainous, it also the flattest one and there for especially suited for bicycle touring. 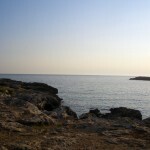 For centuries Puglia has been under strong Greek and oriental influences, resulting in a particular mix of east and west, that can be found in several aspects of the regions culture, from the typical ‘pizzica’ dance to the Greek and Albanese dialects still spoken in some of the area’s most remote villages. From the ‘trulli’ of Alberobello over the imposing Castel del Monte at Andria to the baroque ‘palazzi’ and churches of Lecce, from the Gargano National Park over the plains of the Tavogliere delle Puglie around Lucera and Foggia to the peninsula of the Salento in the south, Puglia has much to offer to the alert tourist willing to invest some time to explore and discover the region. The tour will take you through the idyllic coastal regions along the Adriatic and Ionic seas, passed old gnarled olive trees, slowly threading your way down from north to south. 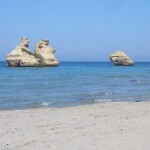 You will make your way passed typical stone architecture and rupestral churches, visit pretty little towns like Ostuni and Gallipoli, and explore the limestone cliffs of the Salento region. All cycling is done on mostly flat, well paved and mostly traffic free roads with only few ascents. 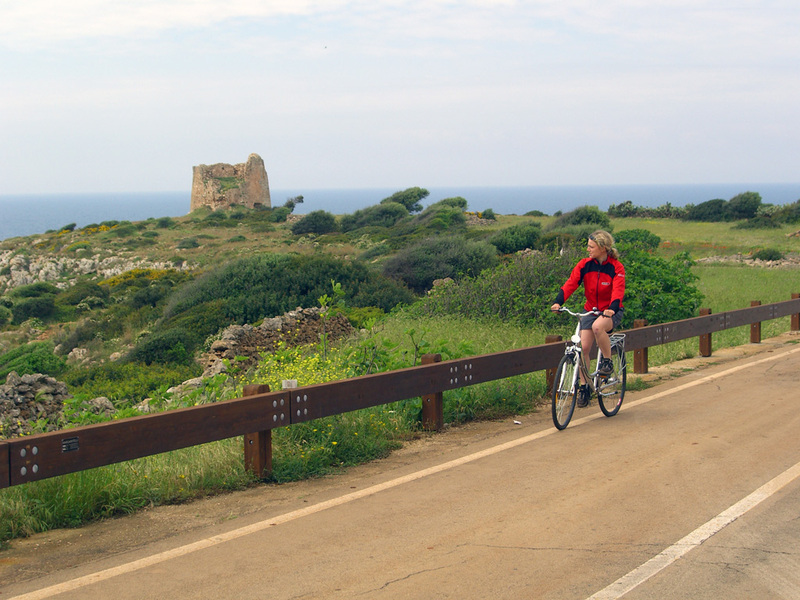 You will cycle along world famous cultural sites and through pristine natural areas teeming with small country roads passing through attractive countryside, with vineyards and olive groves. 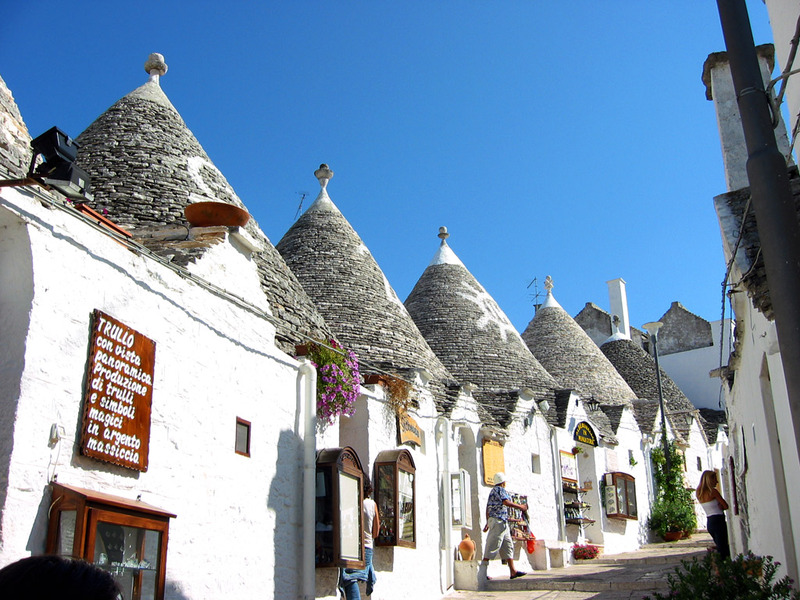 You’ll visit the region’s main cultural attractions such as the town of Alberobello and its ‘trulli, the ‘white town’ of Ostuni’, the pleasant seaside resorts of Gallipoli and Santa Maria di Leuca, Otranto and Lecce, symphony of baroque architecture. Cycling through the green hills and wide plains you will pass through some of the nicest medieval villages of the area, where the traditional way of life is still evident and friendly locals will greet you with open hospitality. 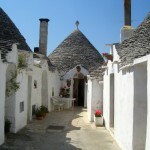 Puglia has good genuine local food and produces some heady wines waiting for you to enjoy. 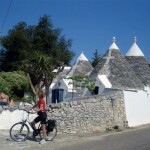 The first days you will cycle through the Tavogliere delle Puglie plain from Alberobello near Monopoli to Ostuni and Mesagne. Here you will explore the Valle d’Itria and stop in the vine yards to taste some of the local wine. 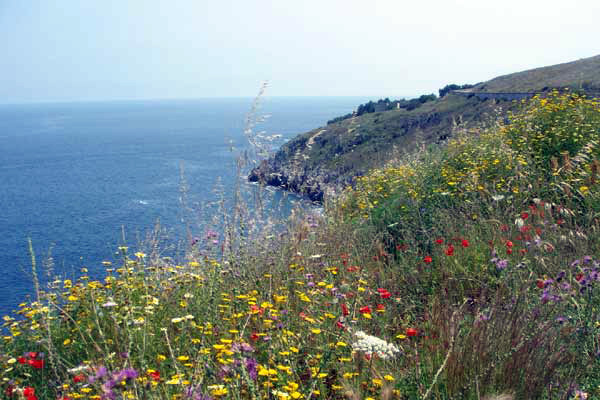 At the Torre Guaceto Natural Park you can observe several species of migrating birds. After reaching and relaxing at Gallipoli, you continue to the Salento region and will reach Otranto with its impressive Habsburger castle by way of the seaside resort of Santa Maria di Leuca. 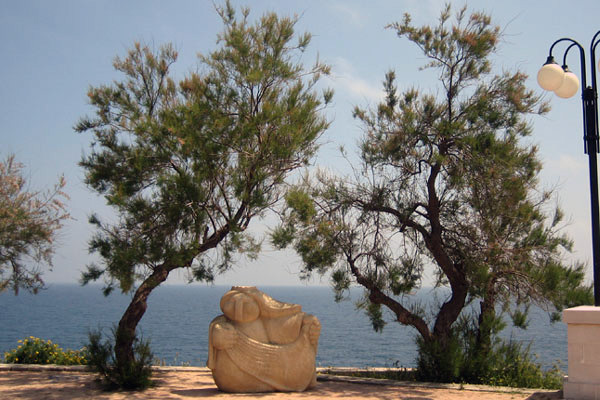 During the last days of your tour you will pass innumerable olive groves on your way to the city of Lecce, the capital of the Salento and one of Italy’s hidden treasures. Please note: this is an easy tour suitable for all those with a basic physical condition. Rides are not very long and generally include very few climbs, leaving plenty of time for sightseeing. Average cycling times: approx. 2,5-5 hours each day. Arrival in Bari (or Brindisi) in case you arrive a day earlier. Both cities have an airport and daily connections with the Rome and Milan airports, as well as being served by several low cost companies. 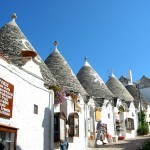 From Bari and Brindisi, the Monopoli train station, situated at 35 km from Alberobello, can easily be reached by train. There are regular Regional trains: travel time about 40 minutes, cost € 5,00 from Brindisi; 30 minutes and around € 3,00 from Bari. Several hotels can be booked in Bari and Brindisi, according to your wish (either ‘downtown’ centrally located, or near the harbour or train station, ranging from 3 to 5-star). N.B. If you arrive one day earlier you have the possibility to pay a visit either to Bari – merits a visit the church of San Nicola di Bari – or Brindisi. 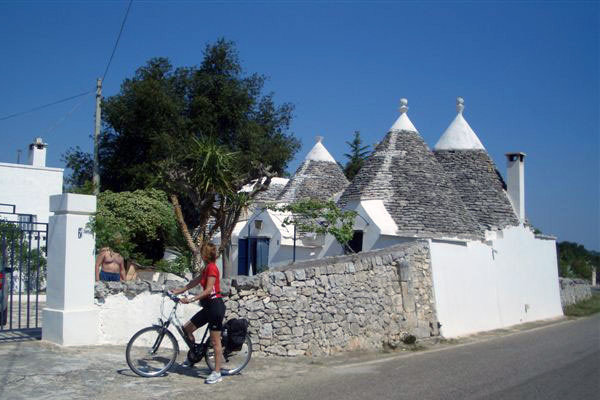 After your arrival at Alberobello you will settle down in your hotel and have the opportunity to visit the unique ‘trulli’ constructions, which are part of the UNESCO World Heritage sites list since 1996. In the evening you can go for a stroll through the town centre, taking in its very special atmosphere while looking for a place to eat dinner. Your first ride takes you through the Valle d’Itria, passing several small hamlets characterized by the presence of one or more ‘trulli’. You may arrive in time for lunch at Locorotondo, home to the ‘Trullo di Marziolla’, the oldest of Puglia (1509 AD), and to the ‘Cantina Sociale’ (wine cellar) of the Locororondo DOC wine. You can’t leave here without stopping in the famous vine yards to taste some of the local wine, before continuing to Ostuni, marvellously located on three small hills at 8 km from the Adriatic coast. 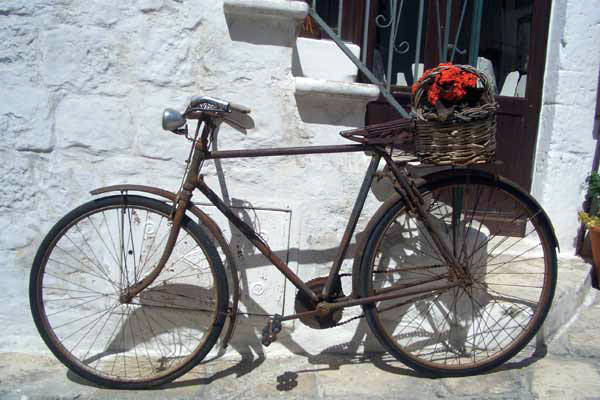 Ostuni is known as the ‘white town’ due to its historical centre’s buildings being whitewashed. Before turning in at your hotel you can go for a short afternoon’s stroll in the historical centre and visit the cathedral and the medieval city walls or simply lose yourself in its maze of small alley ways. 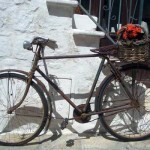 Before leaving Ostuni this morning, you may want to explore the city some more. Several tiny but delightful churches and once grand palaces wait to be discovered. 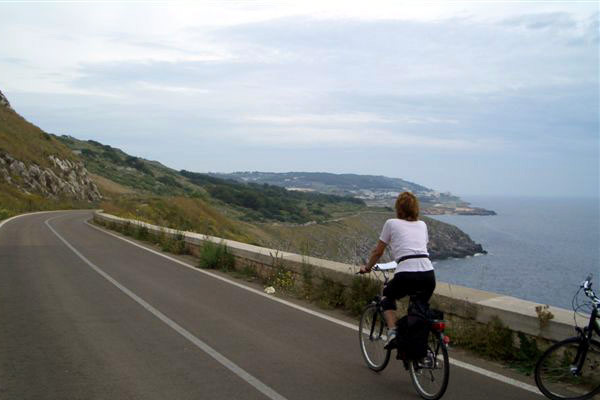 After a coffee or cappuccino you will then cycle down to the Adriatic coast and the nature reserve of Torre Guaceto. Nature lovers will enjoy observing the various and abundant species of migrating birds in their nesting places. Alternatively you may simply enjoy the feel of the sun on your face and the refreshing soft sea breeze. From the reserve, you then continue along quiet back roads lined by ancient olive trees in direction of Mesagne. The historical centre of this town located in the middle of the Salento plain has been constructed on a small hill and is the ideal location to taste one of the local specialties on offer in the local restaurants. Try the local ‘stacchioddi’ (a type of homemade pasta) al ragù’ or the ‘risu patani e cozzi’ (rice with potatoes and mussels), without forgetting to taste the local Aleatico di Puglia or Ostuni and Brindisi DOC wines. 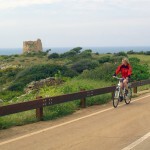 From Avetrana it is only a short ride to the Ionic coast along which you carry on to the city of Gallipoli. This city consists of a recent part constructed on the main land, and the old historical centre that lays on a rocky island a short distance away in the sea. Both are joined by a 15th century arched bridge with fantastic views from the north and from the south. Nowadays Gallipoli is an important resort town, very busy and touristy during the summer season, but much laid back and easy going during low season. You can watch the fishermen at work at the port, and visit the town’s many churches, its colourful alley ways and the imposing castle. In the evening you have the opportunity to taste ‘scapece’, a local speciality based on fried fish, bread and saffron. After breakfast you may wander one last time through the town of Gallipoli and have a quick coffee break looking out over its port. 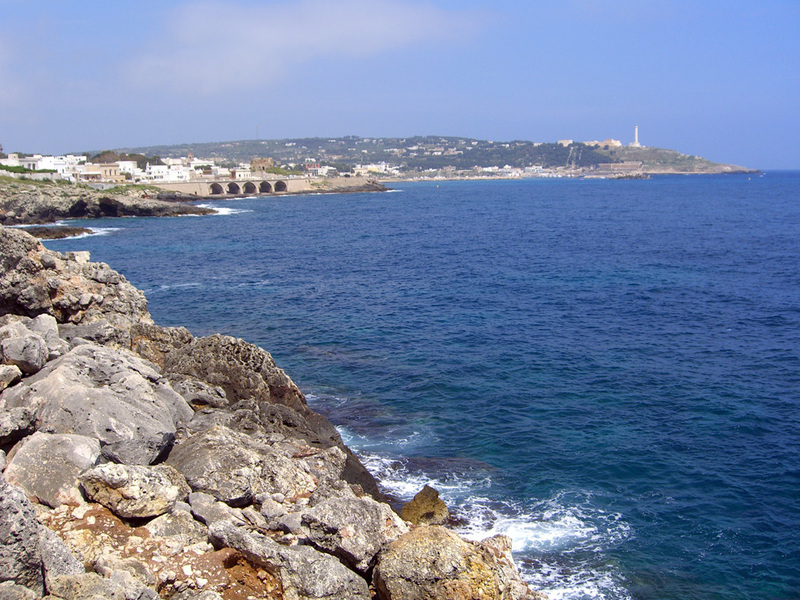 You then set off for the most southern part of the Salento at Santa Maria di Leuca. 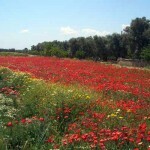 You will pass through luxurious countryside dominated by olive groves and vine yards. 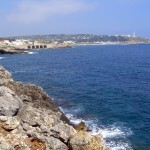 The little promontory of Punta Meliso near Santa Maria di Leuca is generally considered the separating point between the Adriatic and the Ionic coast. As Gallipoli, also the generally quiet town of Santa Maria in summer transforms into a busy seaside resort. Of particular interest are the luxurious 19th century villas built in and near the town, all showing their own particular stylistic influences. Also worth a visit are some of the sea caves along the coast. 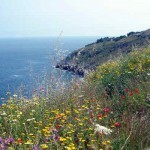 Today you will head up to south coast of the Adriatic Sea, reaching the city of Otranto in the evening. Passing along the seat you enjoy wonderful views of the beautiful coast, and have the possibility to visit the famous ‘Grotta Zinzulusa’, one of few coastal caves open to the public. You will also pass through the spa of Santa Cesarea, known for its hydrotherapeutic cures and radioactive mud therapy – perhaps a good idea for a relaxing visit. 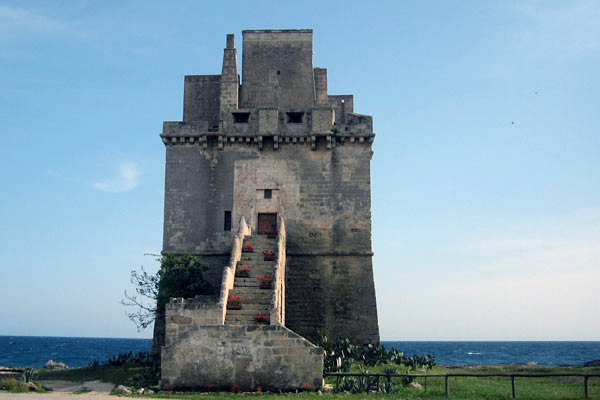 When arriving at the town of Otranto, you will pass several coastal towers forming part of a once sophisticated defence system along the whole coast of Puglia. You will enter the city through one of the gates in its massive walls and cycle through the old town dominated by the impressive Habsburger Castle. 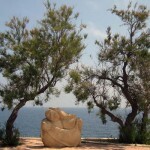 The last day of your tour takes you along the coast from Otranto to the baroque city of Lecce. You will notice along your way again several coastal towers. 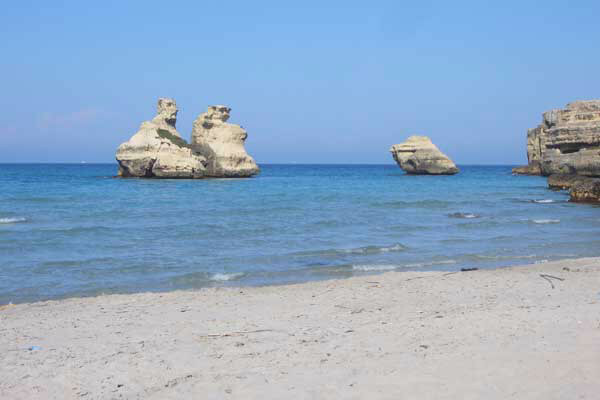 A top location to stop for a swim is the Torre dell’Orso beach surrounded by high limestone cliffs. 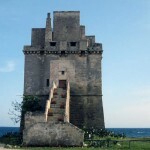 In the afternoon you will arrive at the town of Lecce, capital of the Salento. Take your time to wander through the city’s historical centre, which is full of marvellous baroque buildings. No other city in the Italian can boast such a wealth of churches and ‘palazzi’ in this particular architectural style. Also don’t forget to visit the Roman amphitheatre and theatre, dating back to the early empire. As this is your last night, you may well choose a nice restaurant for the evening’s dinner in the old city centre. The tour ends in Lecce after breakfast today. A train transfer can take you back to Bari or Brindisi. A taxi transfer to other destinations can be arranged on request. All nights are spent in beautiful, characteristic hotels or agriturismo’s (generally 3-star). All rooms have en-suite facilities. No dinners or picnic lunches are included. You will have plenty of opportunities to eat out each evening, choosing from several typical restaurants. Picnic lunches can be prepared for you by the accommodation holders, or materials for picnics can be purchased in the villages you pass through. Night 1: The first night is spent in a beautifully located 3-star hotel in the centre of the picturesque town of Alberobello. The hotel is within easy reach of all of the town’s major monuments. Night 2: Tonight you are staying in a cosy 3-star hotel in the city of Ostuni. From the hotel the whole of the historical centre of town can easily be reached. Night 3: This night is spent in a beautiful agriturismo near Mesagne, offering a taste of peaceful country life. You will enjoy the quiet and relax. Night 4: Tonight you stay in a nice hotel in the seaside resort of Gallipoli. You can eat your dinner, based on local specialties, in any of the restaurants in the city’s historical centre. 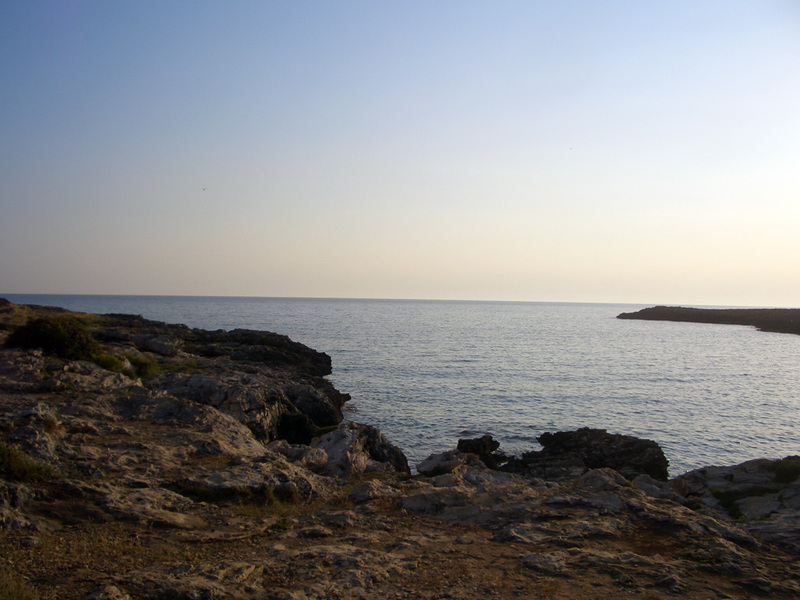 Night 5: This night you will stay in a beautiful hotel at Santa Maria di Leuca on the Ionic coast. There are plenty of opportunities for eating out and having a pleasant after-dinner stroll. Night 6: Tonight you stay in a cosy hotel in the centre of Otranto. Take a walk through the city before dinner to enjoy a pre-dinner aperitif. Night 7: The last night of your tour you will stay in a 3-star hotel in the centre of Lecce. No better opportunity to admire the city’s baroque architecture by night.. Moderately easy (2): Mostly easy rides, with only few moderate climbs. Most rides are not longer than 50 km. All roads are well paved. They are mostly quiet with little traffic. Extensions or shortcuts are possible on some days. Fitness: The trip requires a basic physical condition. Some rides may be a bit longer (up to 60 km) but mostly involve few climbs. Easy, flat roads mean you have plenty of time for sightseeing and sampling local culture, and cuisine. 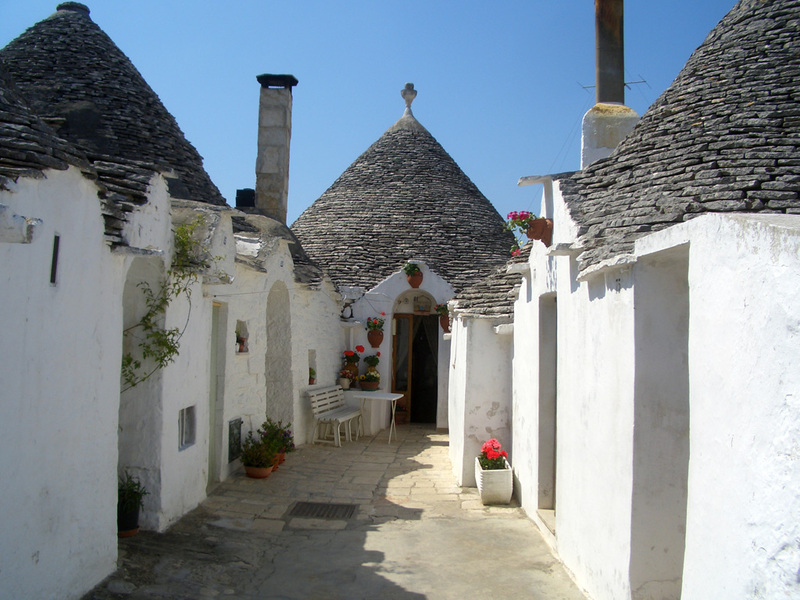 Arrival: The tour starts in ALBEROBELLO which can be reached by private transfer from the train station of Monopoli. Monopoli train station is easily reached from Bari and Brindisi which both have international airports. Tours start every Sunday during the trip season with a minimum number of participants of 2. During the months of May and June tours can start on Saturday as well. Departure: The tour ends after breakfast on day 8 in LECCE. From the local train station Bari and Brindisi are easily reached. It is possible to include extra nights in any of the accommodations ‘en route’. Extra cycling and/or sightseeing options can be provided! 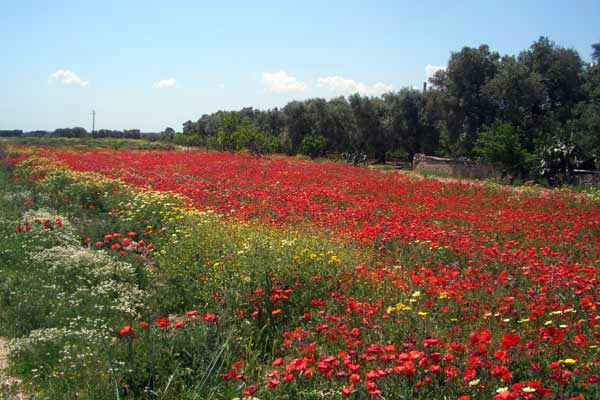 As well is it possible to extend your tour with a few days in the Salento region and one of its major towns or in an agriturismo in the region’s country side. Details and prices on request.